From brighter colours to flexing a green thumb, we’re ready for a home refresh, ASAP. Décor lovers are constantly revamping their homes and thankfully every year there are new trends to consider and give a go. 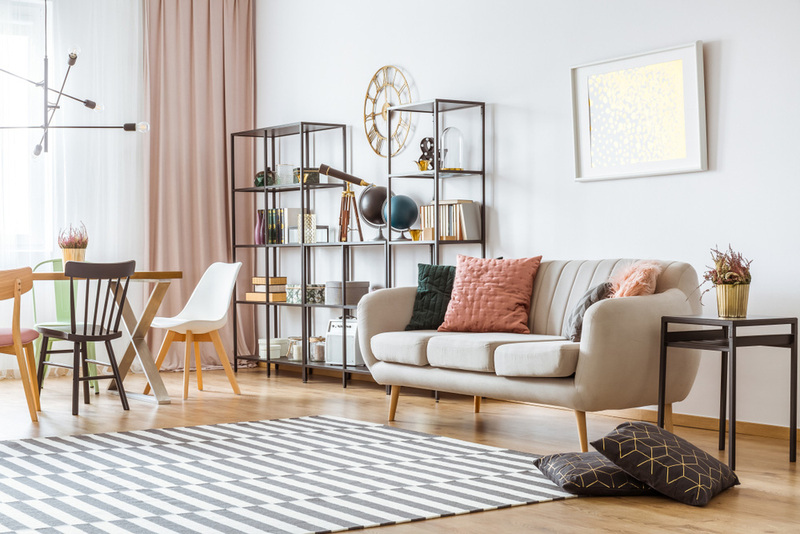 If you happen to be looking for tips on 2019 decorating and live in the GCC, Ellington has highlighted five key trends to help you keep things relevant. The roster from the design-centric luxury lifestyle property developer can elevate your entire home aesthetic and guide you towards making, rather than breaking, that all-important space. 1. A warm and soft look and feel. The pendulum is swinging towards softer interiors, with more nature-inspired palettes that feature various textures. This includes wood-look porcelain tiles, matte velvet finish carpentry, backsplashes and feature walls with mosaic and carved forms that reflect the new look and feel of homes. The once-coveted glossy finishes are gradually starting to be replaced by a more humble and gentle interior look and feel. In a nutshell, warmth seems to be a main buzzword in interiors this year. Out with the traditional dark and heavy doors and woodwork, and in with the lighter-coloured, more contemporary woods and paint finishes. By using light hues and wood colours that provide for continuous floor to ceiling block tones, you can help to create a roomy look and feel, whether it’s in a typical studio, apartment or villa. 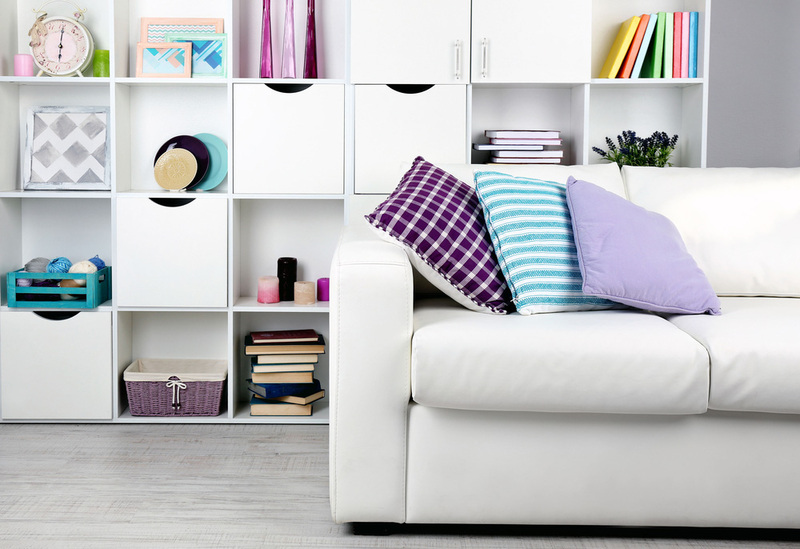 Avoiding darker colours helps your spaces seem livelier and vibrant. Imagine a home that’s instantly brightened up and has a bounty of good vibes thanks to decorative plants. 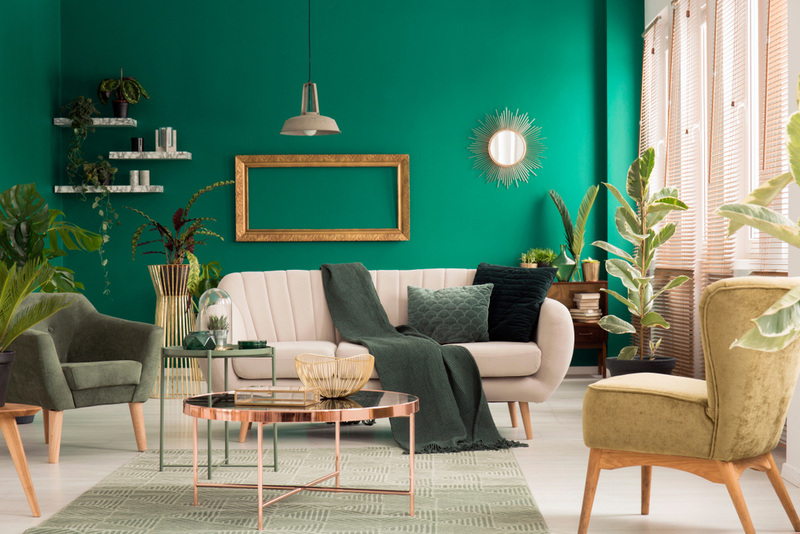 Green has already been a significant trend in UAE interiors as well as in regional fashion in the past two years because of a collective desire for more greenery and a connection with nature, an affiliation many city slickers feel they lack. By ensuring to include more plants and flowers, micro gardens in apartments and popular ‘green walls,’ the trend is here to stay. While there was a focus on fresh green in 2017 and then deep forest green in 2018, this seems to be the year we’re encouraged to experiment and mix natural green hues. Floral and forest textural walls are the rage in residential and commercial interiors, however if you’re looking for a more low key approach, you can simply add more plants to any living space, re-upholster a bed’s headboard with green velvet or even scatter green and floral cushions across your sofa. Everyone knows good interior design equals creativity, but it also calls for practical solutions. Smaller floor plans have become more popular because of the rise in land and apartment costs. 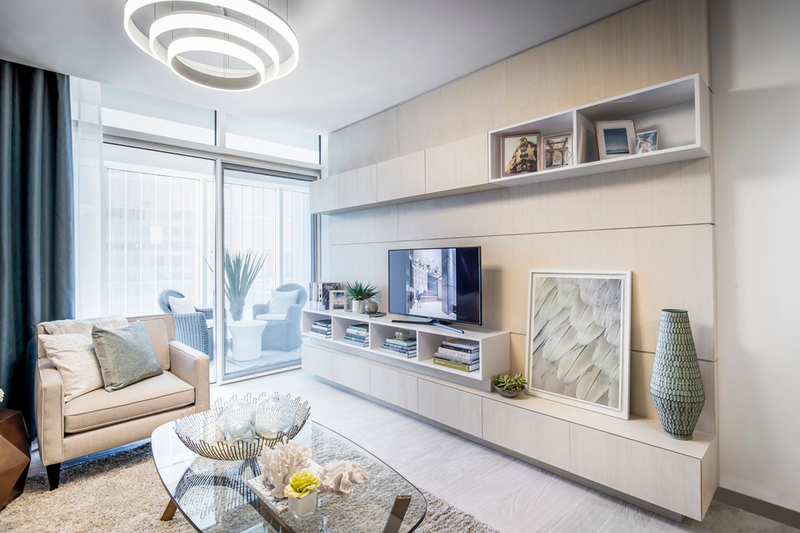 Efficient and well-designed space planning has therefore become extremely important, and the good news is a good interior designer can make the best use of space in small apartments by using every inch of space imaginatively. 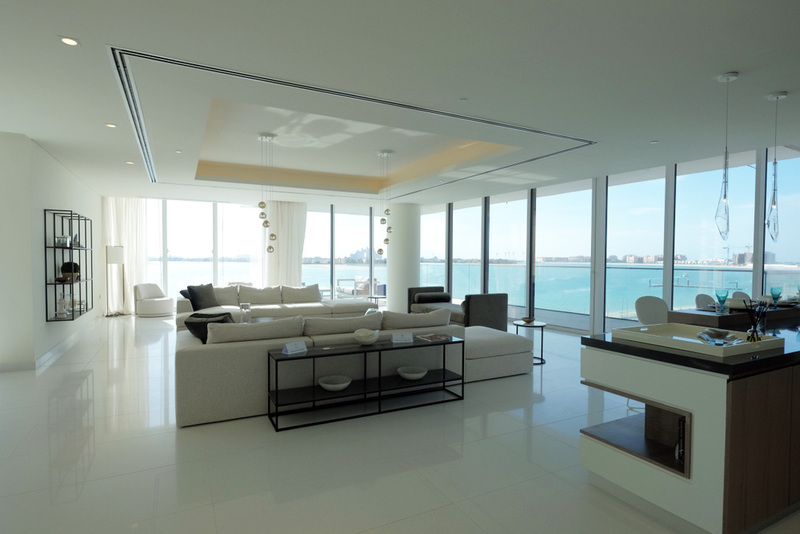 Emiratis are stepping away from the highly decorative, rich fabrics and patterns in architecture and interiors that were traditionally in demand. 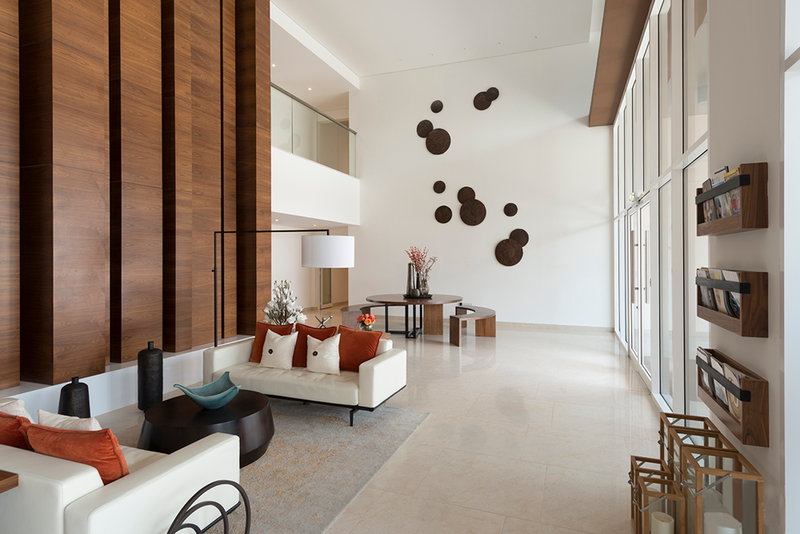 Dubai’s location has inspired interiors from sand and sea, leading to brighter, softer touches, and a more contemporary, pared down approach. Would You Let Down Your Hair and Live in This Fairytale House?